Open Letter To TUV Rheinland | My Home - It's on Fire! Every time Russound said their CAV unit was safe because it was tested by or listed by somebody, I would send an email to that “somebody” like the one I sent to TUV Rheinland on September 8th, 2003. I was truly impressed with the overall response I received from the testing community. They were willing to talk openly with me even before we were sure they were not the testing company. More than one of these people I talked to recommended I contact the Consumer Product Safety Commission about my Russound CAV unit and someone even sent a CPSC brochure was even sent to my house. Also, do not make the same mistake I did and associate TUV America, Inc. With the people below. The TUV America people were incredibly responsive and I thank them. I recently read a copy of your report to Russound engineer John Cronk dated September 19th, 2003. I obtained it from the U.S. Consumer Product Safety Commission through a Freedom of Information Act request (FOIA). I see you listed my fire as “a self-contained fire within the enclosure of the CAV6.6″. I also see that same kind of description is made many times in the “FULL REPORT PURSUANT TO 16 CFR 1115(d)” sent to CPSC. Descriptions like “burn inside the chassis”, “contained within the metal clad unit”, and “within the metal unit casing” are all over the report as a description of what happened in my home or testing by you. As the testing organization, could you tell me if it is important for fires of this kind to be self-contained within the enclosure? The reason I ask is that I sent an email to TUV Rheinland on September 8th 2003 and again on the 11th (attached) that specifically said “Flames came out of the cabinet . . “. When flames are outside the cabinet, is that still self contained? If a fire is stopped with an fire extinguisher, is it important to see how the fire might have progressed to it’s conclusion? I can see by the dates of communications back and forth between Russound and CPSC that Russound and TUV Rheinland had decided on what the recall solution was before inspecting the only unit that caught fire. Is it proper practice to make these determinations before the only fire reported is investigated and the only unit is inspected? I reported that my CAV6.6 was in “standby mode” when my fire occurred. Would the failure you listed be consistent with a unit that was in standby mode? TUV Rheinland’s Northbrook office is only about an hour down the road from here. Despite the close proximity, TUV managed to avoid looking at my unit because TUV representative John Kotrba broke at least four appointments he made. Is the information pertaining to my fire of so little importance it is not worth inspecting the unit at all? Or if you avoid inspecting the unit, can you claim ignorance about the extent and non-containment of my fire? I see that Russound has recently issued an alert about plugging a Russound A-H4 hub into a CAV6.6. It says that this combination can damage electronic components inside the CAV6.6. 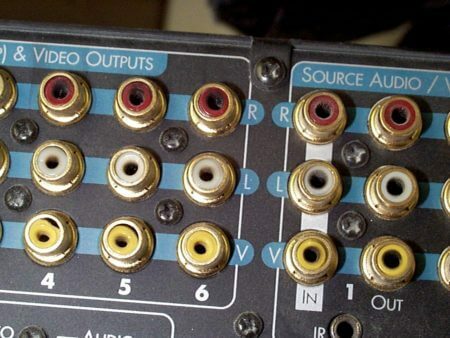 Did you know I had a Russound A-H4 hub plugged into mine at the time of the fire? Since you never inspected my unit, are you certain this did not occur in my CAV6.6? Are there any other electronic failures that could start a fire similar to mine? Lastly, I see that Russound describes TUV Rheinland as a “certified testing agency”. Who certifies TUV to be competent to do such testing and come to such conclusions?